One of the longest running cases in Northern Ireland’s criminal courts is “back to square one,” 14 years after it started, a judge has heard. 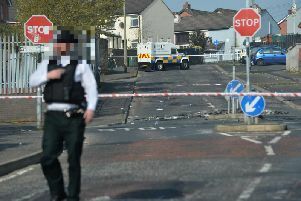 At Newtownards Magistrates’ Court, a lawyer for the local council said following the High Court quashing their convictions last November, fresh prosecution summonses had been issued against William and Roberta Anne Young. The couple are charged with continuing to contravene a planning notice in relation to their home on the Carrowdore Road in Greyabbey following their initial conviction in February 2005 for failing to comply with an enforcement notice in place since 2004. In July 2016, district judge Greg McCourt fined them £150,000 and warned that for every day the offending building remained standing, constituted “a continuing offence”. Following a referral to the High Court for a judicial review, their conviction was quashed and the fines rescinded. Since its inception in 2004, the case against the Youngs has been referred to the County Court, the High Court in Belfast and even the Supreme Court as the couple sought to cast doubt on the legalities of the enforcement against them. And at the magistrates’ court in Newtownards yesterday, a lawyer for the council revealed there had been a prospect of a plan for an agreed way forward between the Youngs and the council, but added that as of last week, “its apparent that that won’t happen”. Having recounted the history of the long running saga, the lawyer told the court that essentially, “we are back to square one” so there will have to be a contest. “The council view is that once these criminal matters complete, they will hopefully bring an injunction to be permitted themselves to go and knock the house down,” he told the court. The case centres around the fact that while there had been planning permission for the site, it was “not for where they built it”. In asking for the case to be adjourned for a month so that a new contest date can be fixed, the lawyer reminded judge Hamill that as well as himself, many other judges were not allowed to hear the case.